June 10, 2018 (Alpine) – California Highway Patrol seeks public help to find a person or persons who have been leaving 60-pound concrete parking blocks as well as cinder blocks on Interstate 8 near Alpine. Numerous vehicles have been damaged this year, starting in January. The most recent incidents occurred Saturday shortly after midnight, when eight to ten vehicles were damaged or disabled. March 5, 2018 (Spring Valley) -- As part of its ongoing efforts to improve pedestrian safety in Spring Valley, the California Highway Patrol (CHP), will be conducting a pedestrian safety enforcement operation that will focus on motorists and pedestrians who fail to yield the right-of-way or who take unsafe and illegal actions. The enforcement operation will take place on March 8 at Troy Street west of Central Avenue in Spring Valley. February 15, 2018 (Pine Valley/Campo) – Dan Russell worked 27 years for the San Diego Fire Department. Now he’s a local hero for a different reason – working tirelessly to clean up trash along Interstate 8 and other roadways in East County. Update: The deceased has been identified as 18-year-old James Will, a Mountain Empire football star, East County Sports reports. May 7, 2016 (La Posta) — A Campo man driving a 2004 Acura TSX was reported missing yesterday at 12:30 p.m. to the California Highway Patrol and Sheriff after failing to reach his destination in Pine Valley, where he planned to pick up his great-grandmother at 6 a.m. yesterday morning. February 12, 2016 (Ramona) — Two drivers have been transported to Palomar Medical Center with major non-life threatening injuries after a head-on collision in Ramona yesterday at 1:18 p.m.
December 28, 2015 (Jamul) – Jae Han Chung, 25, of Chula Vista, died at the scene of a motorcycle crash December 26th at 12:53 p.m. in Jamul. November 12, 2015 (San Diego’s East County) – A woman who ran a Border Patrol checkpoint in Pine Valley, after agents found a person hidden in her trunk, led authorities on a chase at speeds up to 120 miles per hour last night. The chase began shortly before 5 p.m. and continued for 30 miles, despite tack strips laid down to try and half the driver, who was in a Ford Mustang. Border Patrol and California Highway Patrol officers were involved in the pursuit. The driver exited the freeway in El Cajon, where she crashed into the back of a Jeep s at Madison and Second Street, Customs and Border Patrol reports. The CHP site and several media outlets reported that the suspect struck more than one vehicle. November 5, 2015 (San Diego’s East County)—Shots fired from a dark SUV that pulled alongside a Lexus traveling east on I-8 at Los Coches Road in unincorporated El Cajon at 12:57 a.m., injuring the driver and passenger. The driver of the Lexus, a 43-year-old woman from Alpine, and her passenger, a 31-year-old man, were transported by ambulance to Sharp Memorial Hospital with non-life threatening injuries. September 21, 2015 (San Diego) – An estimated 90,000 San Diego Gas & Electric Company (SDG&E) customers lost power for several hours on Sunday afternoon. SDG&E tweeted at 2:02 p.m. Sunday that the California Independent Systems Organization known as CAISO ordered it to “drop 150 MW of load in our service territory at around 1:15 p.m.” CAISO, a nonprofit, is responsible for maintaining the statewide power grid- in other words, keeping the lights on. 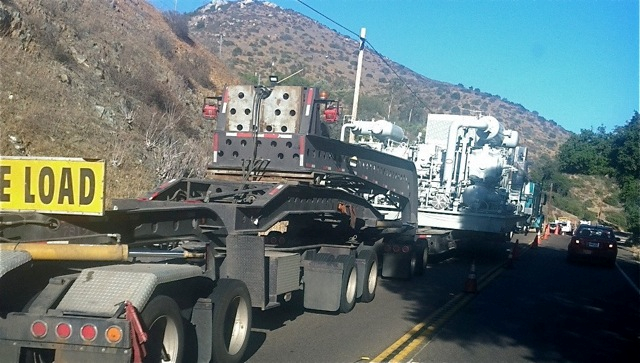 August 18, 2015 (Jamul) – On Sunday, we reported on a 10-hour closure of State Route 94 last Friday due to a head-on collision involving a semi-truck that left many local residents stranded and angry by the long delays. Our story included documentation of numerous past lengthy closures on the highway in the Jamul area provided by the Deerhorn Valley Antler editor.We asked the California Highway Patrol and Supervisor Dianne Jacob for comments on this serious issue. Supervisor Jacob responded, “The public has every reason to be outraged, given the length of the closure, the dangerously high temperatures that day and the lack of communication from state authorities. I will be sharing those concerns with the Caltrans, CHP and other state officials. Drivers are already at risk on this dangerous and congested state highway, and the situation will become even more dangerous if a casino opens. Thousands of lives are at risk in the event there is a need for an evacuation of the area with nowhere to go." Kevin Pearlstein, public information officer for the California Highway Patrol in El Cajon, today advised East County Magazine that the delay was due in part to the truck shifting and dropping part of its load. August 16, 2015 (San Diego’s East County) --Friday, August 14th was a rough day for motorists in East County. A motorhome sparked a dozen spot fires along 67, forcing closure of the highway and long delays for motorists while firefighters worked to douse the blazes. Even longer delays were experienced by motorists along Highway 94, which was shut down for roughly 10 hours along the key border-region artery after a semi-truck collided head on with a vehicle carrying several passengers and rolled over. Inadequate notifications from official channels left motorists stuck in traffic for hours during extreme heat of over 100 degrees and an ambulance was forced to take a lengthy detour. 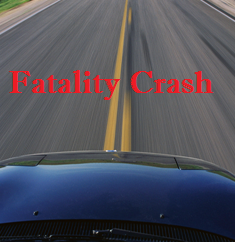 June 22, 2014 (Lakeside) – A Lakeside man, 45, died at the scene of an accident that occurred on June 13 at 12:49 a.m. on State Route 52 east, just west of Cuyamaca Street. Since then, Konstantin has championed the cause of warning others about the dangers of driving drowsy. In 2005, the California Legislature proclaimed April 6th—the date Robyn Konstantin died –as Drowsy Driver Awareness Day. On Monday, March 17, Konstantin will be a guest on the East County Magazine Radio Show. Tune in at 5 p.m. on KNSJ 89.1 FM. “I have always found it to be ironic that one of my duties as a California Highway Patrol officer was to inform the public of the dangers of driving while drowsy. Yet, this is how my own wife died,” Konstantin says. “She was an excellent driver. This just proves it can happen to anyone.” Ironically, she drove past a freeway rest area just moments before her crash, he added. You can learn more at his website: http://drowsydriverawarenessday.com and by scrolling down in this article. February 14, 2014 (San Diego’s East County)—A Valentine’s Day crash at 1:44 p.m. today claimed the life of a 37-year-old San Diego man. According to the CHP, he was driving a Jaguar at high speed on State Route 125 northbound near San Miguel Ranch Road when he missed a curve and collided with the center median guardrail, tearing open the left side of his vehicle. 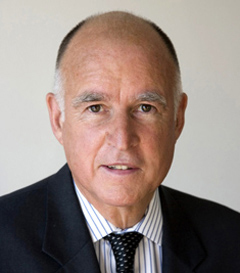 December 18, 2013 (San Diego) – As Californians ready for their holiday travels, the California Highway Patrol (CHP) is set to begin its annual Christmas Maximum Enforcement Period (MEP). The two-day holiday enforcement effort is designed to help ensure the safety of the motoring public during a time when celebrations are in full swing. The MEP begins at 6 p.m. on Tuesday, December 24, and continues through 11:59 p.m. on Wednesday, December 25. The effort coincides with the National Highway Traffic Safety Administration’s ongoing Drive Sober or Get Pulled Over anti-driving under the influence (DUI) campaign, which began on December 13, 2013, and continues through January 1, 2014. October 23, 2013 (Alpine) – Four people sustained life-threatening major injuries in a rollover accident on westbound I-8 at East Willows Road in Alpine at 11:50 a.m. on October 21. None were properly restrained in seat belts, according to CHP officer Kevin Pearlstein. According to the CHP, a 28-year-old woman from Campo was driving a 2001 Ford Explorer westbound at about 70 miles per hour when her vehicle drifted onto the dirt center divide and rolled out. A 2-year-old girl was ejected from the vehicle. She was transported to Children’s Hospital. October 22, 2013 (La Mesa) – A motorcyclist suffered a fractured arm and abrasions when he was struck from behind in a three-vehicle collision at 3:43 p.m. today at the junction of Interstate 8 and State Route 94. According to the CHP, an Acura Integra driven by a 21-year-old from Spring Valley traveling westbound on I-8 was attempting to take a transition road to southbound 125 when traffic came to an abrupt stop. The driver swerved and skidded into the next lane, striking a Honda Magna motorcycle from behind and ejecting its driver onto the roadway. The Acura also struck a Suburban driven by a 59-year-old Bonita man. October 22, 2013 (Sacramento) – School bus safety is a two-way street, a responsibility shared by professional school bus drivers and the rest of the motoring public. To help bring awareness to the safe transportation of students throughout the state, the California Highway Patrol (CHP) is proud to observe National School Bus Safety Week, October 21–25, 2013. Nearly one million California students ride on school buses every day and more than 25,000 certified drivers are dedicated to providing safe transportation for children in the state. These drivers go through 40 hours of intense training by the Department of Education, in addition to a rigorous certification process by the CHP, physical examinations, and drug tests. Drivers must also possess a valid first aid and medical card and obtain a background clearance from the California Department of Justice. Additionally, the CHP inspects and certifies every bus annually. October 22, 2013 (Sacramento) – Nationwide, collisions are the leading cause of death for teenagers, and California is not immune to this disturbing trend. Each year, thousands of young drivers and their passengers are killed in collisions. To help bring awareness to this national problem, the California Highway Patrol (CHP) will participate in National Teen Driver Safety Week October 20-26, 2013. October 18, 2013 (Ramona) – Bella Noble, A 5-year-old Ramona girl has died of injuries sustained when her mother, 42, accidentally backed over the child. The tragedy happened at 5:20 p.m. yesterday in the family's driveway on Carnation Road in Ramona, when the mother was backing her Chevrolet Astro van out to visit a friend. According to the CHP, the child ran behind the vehicle. “The mother lost sight of her daughter and felt a bump at the rear of her vehicle and realized she may have struck her child. Not realizing she had run over her daughter, she pulled forward and struck her child a second time,” said CHP Officer Tommy Doerr. September 26, 2013 (Sacramento) – Governor Edmund G. Brown Jr. recognized California Highway Patrol (CHP) Officer Dane Norem with the 2012 Governor’s Public Safety Officer Medal of Valor for performing extraordinary acts of bravery on October 25, 2012. While on duty, Officer Norem of the CHP’s Riverside Area office responded to a call of a potential suicidal subject attempting to jump off of a freeway overpass to the roadway below. Officer Norem arrived at the scene and observed an adult male climbing the overpass fence. While attempting to save the subject’s life by preventing him from jumping, Officer Norem was stabbed nine times, including in the eye, with a utility knife. Despite his injuries, and continually being stabbed, Officer Norem continued to hold onto the man’s leg until help arrived to take the man into custody. September 3, 2013 (San Diego) – The California Highway Patrol is warning motorists about two people in a white Crown Victoria equipped with flashing red and blue lights to resemble a police car. The pair reportedly pulled over a Jeep near the junction of freeways 805 and 905 today at 1:05 p.m.. A Hispanic man wearing a black jacket with “police” across the chest and wearing what appeared to be a holstered handgun on his hip got out of the passenger side of the Crown Victoria. He asked the Jeep driver to get out, then stole the vehicle. August 27, 2013 (San Diego’s East County ) – California Highway Patrol Sergeant Dave Dreher has responded to East County Magazine’s inquiry regarding a truck with over-sized load that broke down, sitting for two weeks on State Route 94 in Dulzura before it was finally removed last week. Residents had complained of long delays and inadequate notification. Rural residents are demanding answers and improved communications after a truck with an oversized load broke down and blocked traffic on State Route 94 for over 50 hours. Even after the road was cleared, the big rig remained on the shoulder at Marron Valley Road in Dulzura for two weeks before it was finally removed. Media was not warned and no Sig Alert was issued to alert residents prior to the oversized load taking to the highway, even though the slow-moving, extra-wide load obstructed traffic in both directions along the main evacuation route for residents in areas including Jamul, Deerhorn Valley, Potrero, Barrett Junction and Tecate. During the blockage, residents were forced to detour up to 90 miles, causing delays of many hours. Yet a SigAlert was not issued until seven hours after the road was completely blocked by the mechanical breakdown. Even before the breakdown, the oversized, slow-moving load obstructed traffic in both directions. The load was about 231 feet long – yet posted signs indicate the maximum truck length allowed is 75 feet. So why was this rig allowed to take this narrow route with many hairpin curves when straighter, wider routes to its destination were available? March 22, 2013 (Otay) -- This morning at 11:05, California Highway Patrol communications began receiving reports that a small private plane had been forced to land on the freeway after experiencing mechanical problems. CHP officers responded to these reports and located the Cessna 150 on the right shoulder of State Route 125, near the Otay River Bridge. March 18, 2013 (San Diego’s East County) – Shirley Frantum, 51, of Upland was riding her Harley Davidson east on Highway 78 on March 16 when she entered a curve east of San Felipe Road. She was struck by a Hyundai Sonata driven by Matthew Hon, 20, from Murrieta. March 17, 2013 (San Diego) – A 50-year-old man was struck and killed while attempting to cross Interstate 15 north of the Landis Street overcrossing near University at 6:55 p.m Wednesday night. According to the CHP, the victim was hit by a Mercedes traveling 50 to 60 mph in the number one lane. The driver was not injured. The victim’s name has not yet been released, pending notification of family. The collision remains under investigation. If you have information on this accident, call Officer Jake Sanchez at the San Diego CHP office at (619) 220-5492. March 8, 2013 (San Diego) – The California Highway Patrol reported 343 collisions during today’s rain storm in just five hours, between 12 noon and 5 p.m , throughout San Diego County. That’s several times higher than a normal good weather day, which averages 50 to 75 crashes. March 4, 2013 (Lakeside)--Children at the Lakeview School area in Lakeside now have a safer place to walk to school. To see a video of the sidewalk development process here http://www.youtube.com/watch?v=saUjx_WTvMY.